Lars Rosenberg - Guitar, Bass - Electra (Live In The Studio, take 2) by Jeff Janssen and Lars Rosenberg Jeff Janssen, Arizona, USA: Drums Lars Rosenberg, Sweden: Guitars, bass, mixing, mastering and video production Copyright © May 2018 by Lars Rosenberg, Sweden All rights reserved. Electra (Live In The Studio, take 2) by Jeff Janssen and Lars Rosenberg Jeff Janssen, Arizona, USA: Drums Lars Rosenberg, Sweden: Guitars, bass, mixing, mastering and video production Copyright © May 2018 by Lars Rosenberg, Sweden All rights reserved. I started to play music at the age of 8 in the public music school. Starting with wooden flute for a year as every one else who started in music school. Then I played trumpet for a year and moved on to Trombone that I played till I was 19. I started with guitar at the age of 11 on my dads acoustic guitar. Just before I turned 12 I got my first electric guitar. And ever since then I've favored the electric guitar before my old trombone. Nowadays I play some bass and sing. I just started to look at the keyboard, it's good for writing/composing music. On most of the tracks uploaded I play every instruments. Guest drummers playing on my tracks are: Tobias Flensburg, Jeff Janssen, Alan Corne (The Quorn), Ari Kihk, Rino Cavalli. Guest bass player: James Noble. Marshall amplification and for studio Line6 POD HD500. Guitars: Gibson, Epiphone and Ibanez all but one of them modified to meet my needs. 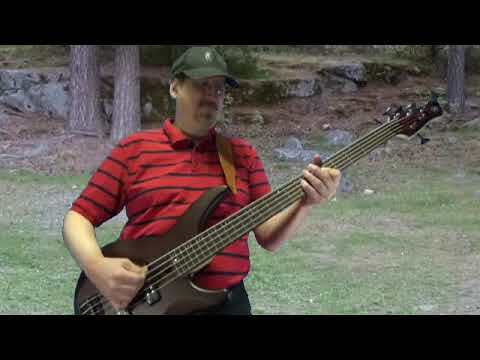 For bass I use a Yamaha TRBX 5 string bass. I use a PC running Cubase, Supperior Drummer and several drum extensions. For the live recordings I add a camcorder and the video editor from Magix called Magix Movie Edit Pro Plus. Without a doubt there is two guys who showed me what music is about. David Maytan and Nils Landgren. I had both as trombone teachers in the 70th. Nils Landren is to day a world famous Jazz musician, see http://www.nilslandgren.com/read-nils-landgren/. It may sound strange but much the voice that I have to day I owe David and Nils. Hours of trombone playing has tout me how do use my diaphragm. I remember Nils as a teacher with lots of humor making the brass ensemble practice very "fun". Upon that I got to learn to read notation and think music. As for my guitar skills I owe much of it to Jan Janka Johansson. He helped me sharpen my guitar playing. 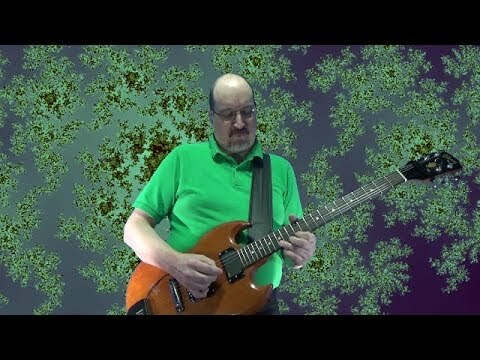 Cords analysis for guitars is one example which I was tout using a piano. The only that stand out among all the others is Ian Pace, the man with the rhythm. Lars Rosenberg hasn't uploaded any pics yet. 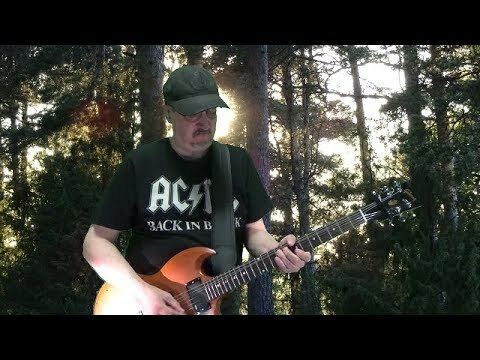 Cassiopeia https://youtu.be/8d6v_td0qNc by Jeff Janssen and Lars Rosenberg Jeff Janssen, Arizona, USA: Drums Lars Rosenberg, Sweden: Guitars, bass, mixing, mastering and video production Copyright © March 2019 by, Lars Rosenberg, Sweden All rights reserved. Perseus https://youtu.be/vkGWXC1v7m0 by Lars Rosenberg Copyright © April 2019 by, Lars Rosenberg, Sweden All rights reserved. 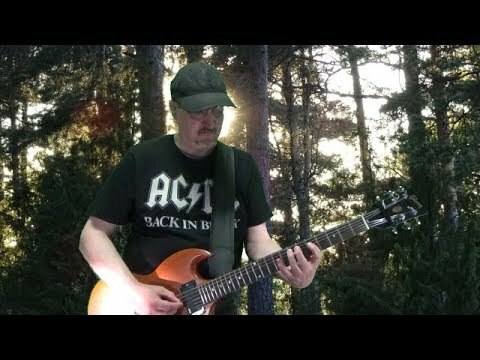 Capricornus https://youtu.be/nsOqqq8AoGo by Jeff Janssen and Lars Rosenberg Jeff Janssen, Arizona, USA: Drums Lars Rosenberg, Sweden: Guitars, bass, mixing, mastering and video production Copyright © March 2019 by, Lars Rosenberg, Sweden All rights reserved. Ursa Minor (take 2) https://youtu.be/9PK5CMOPIto by Lars Rosenberg Copyright © April 2019 by, Lars Rosenberg, Sweden All rights reserved. Ophiuchus http://youtu.be/l0FTjI59I_U by Lars Rosenberg Copyright © April 2019 by, Lars Rosenberg, Sweden All rights reserved. Delphinus by Jeff Janssen and Lars Rosenberg https://youtu.be/OfvEFL2wwcU Jeff Janssen, Arizona, USA: Drums Lars Rosenberg, Sweden: Guitars, bass, mixing, mastering and video production Copyright © February 2019 by, Lars Rosenberg, Sweden All rights reserved. Crux by Jeff Janssen and Lars Rosenberg Jeff Janssen, Arizona, USA: Drums Lars Rosenberg, Sweden: Guitars, bass, mixing, mastering and video production Copyright © March 2019 by, Lars Rosenberg, Sweden All rights reserved. Cassiopeia https://youtu.be/0mZeXTgBU8Y by Lars Rosenberg Copyright © March 2019 by, Lars Rosenberg, Sweden All rights reserved. Capricornus ( https://youtu.be/2RqjPBruKJk ) by Lars Rosenberg Copyright © March 2019 by, Lars Rosenberg, Sweden All rights reserved. Ursa Major ( https://youtu.be/fvKxB6OjLME ) by Jeff Janssen and Lars Rosenberg Jeff Janssen, Arizona, USA: Drums Lars Rosenberg, Sweden: Guitars, bass, mixing, mastering and video production Copyright © February 2019 by, Lars Rosenberg, Sweden All rights reserved. Crux https://youtu.be/mZq_-KsUl-g by Lars Rosenberg Copyright © March 2019 by, Lars Rosenberg, Sweden All rights reserved. 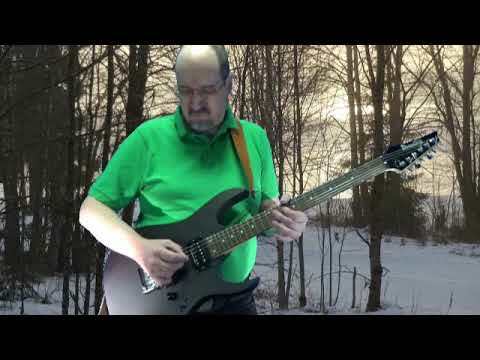 Gamma Hydrae https://youtu.be/JNAfFlg_ePw by Jeff Janssen and Lars Rosenberg Jeff Janssen, Arizona, USA: Drums Lars Rosenberg, Sweden: Guitars, bass, mixing, mastering and video production Copyright © January 2019 by, Lars Rosenberg, Sweden All rights reserved. Delphinus https://youtu.be/FeegiNBgiMA by Lars Rosenberg Copyright © February 2019 by, Lars Rosenberg, Sweden All rights reserved. Zeta Virginis https://youtu.be/atL6Y6AWW4w by Jeff Janssen and Lars Rosenberg Jeff Janssen, Arizona, USA: Drums Lars Rosenberg, Sweden: Guitars, bass, mixing, mastering and video production Copyright © December 2018 by, Lars Rosenberg, Sweden All rights reserved. Ursa Major https://youtu.be/8nalVbzWsiE by Lars Rosenberg Copyright © January 2019 by, Lars Rosenberg, Sweden All rights reserved. 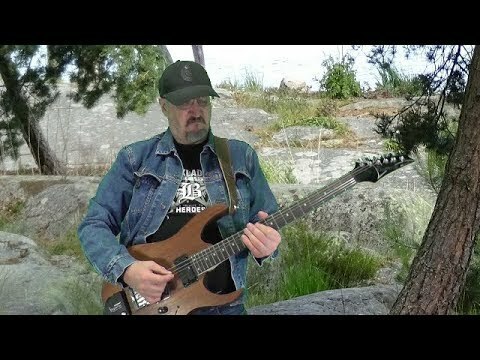 Epsilon Virginis https://youtu.be/QZscNN562H8 by Jeff Janssen and Lars Rosenberg Jeff Janssen, Arizona, USA: Drums Lars Rosenberg, Sweden: Guitars, bass, mixing, mastering and video production Copyright © December 2018 by, Lars Rosenberg, Sweden All rights reserved. Delta Virginis https://youtu.be/swQvuWWscJQ by Jeff Janssen and Lars Rosenberg Jeff Janssen, Arizona, USA: Drums Lars Rosenberg, Sweden: Guitars, bass, mixing, mastering and video production Copyright © December 2018 by, Lars Rosenberg, Sweden All rights reserved. 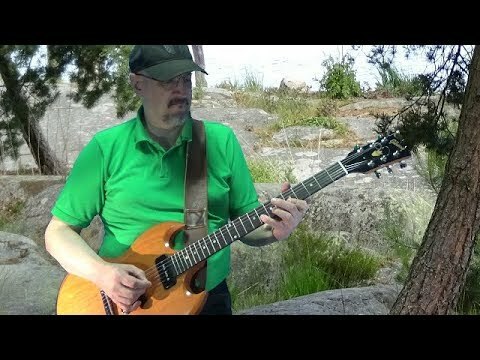 Gamma Virginis https://youtu.be/h__LI_Cqj7Y by Jeff Janssen and Lars Rosenberg Jeff Janssen, Arizona, USA: Drums Lars Rosenberg, Sweden: Guitars, bass, mixing, mastering and video production Copyright © January 2019 by, Lars Rosenberg, Sweden All rights reserved. 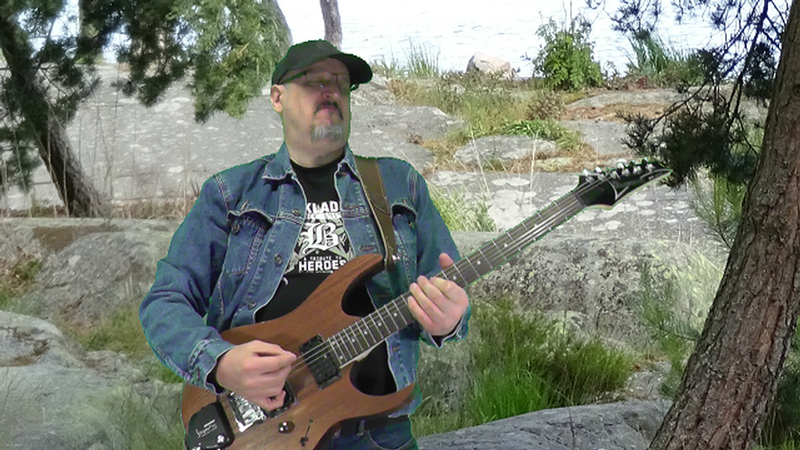 Beta Virginis by Jeff Janssen and Lars Rosenberg Jeff Janssen, Arizona, USA: Drums Lars Rosenberg, Sweden: Guitars, bass, mixing, mastering and video production Copyright © December 2018 by, Lars Rosenberg, Sweden All rights reserved. 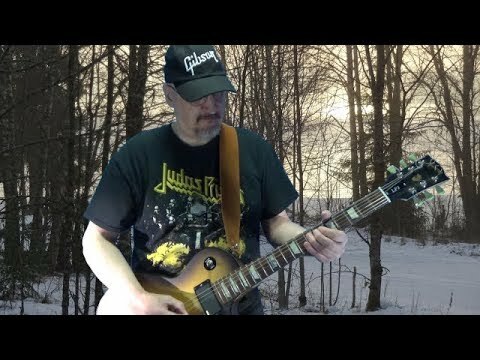 Alpha Virginis by Jeff Janssen and Lars Rosenberg Jeff Janssen, Arizona, USA: Drums Lars Rosenberg, Sweden: Guitars, bass, mixing, mastering and video production Copyright © December 2018 by, Lars Rosenberg, Sweden All rights reserved. Gamma Hydrae by Lars Rosenberg Copyright © January 2019 by, Lars Rosenberg, Sweden All rights reserved. Pegasus by Jeff Janssen and Lars Rosenberg Jeff Janssen, Arizona, USA: Drums Lars Rosenberg, Sweden: Guitars, bass, mixing, mastering and video production Copyright © November 2018 by, Lars Rosenberg, Sweden All rights reserved. 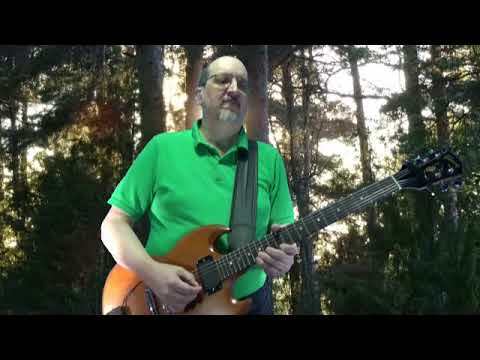 Andromeda by Jeff Janssen and Lars Rosenberg Jeff Janssen, Arizona, USA: Drums Lars Rosenberg, Sweden: Guitars, bass, mixing, mastering and video production Copyright © November 2018 by, Lars Rosenberg, Sweden All rights reserved. 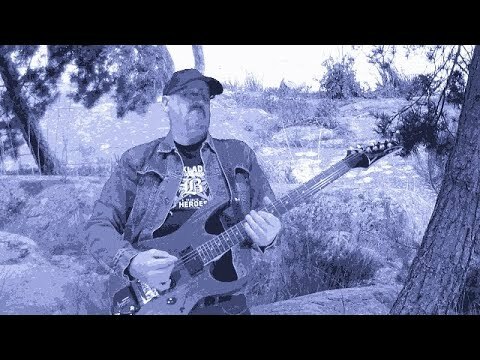 Scorpius by Jeff Janssen and Lars Rosenberg Jeff Janssen, Arizona, USA: Drums Lars Rosenberg, Sweden: Guitars, bass, mixing, mastering and video production Copyright © November 2018 by, Lars Rosenberg, Sweden All rights reserved. Zeta Virginis by Lars Rosenberg Copyright © December 2018 by, Lars Rosenberg, Sweden All rights reserved. Triangulum Galaxy by Jeff Janssen and Lars Rosenberg Jeff Janssen, Arizona, USA: Drums Lars Rosenberg, Sweden: Guitars, bass, mixing, mastering and video production Copyright © November 2018 by, Lars Rosenberg, Sweden All rights reserved. Merry Christmas to you all this is: Canis Major (Take 1) by Lars Rosenberg Copyright © December 2018 by, Lars Rosenberg, Sweden All rights reserved. Gamma Virginis by Lars Rosenberg Copyright © November 2018 by, Lars Rosenberg, Sweden All rights reserved. 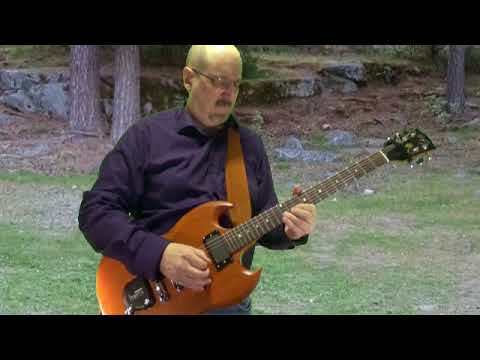 Barnard's Loop by Jeff Janssen and Lars Rosenberg Jeff Janssen, Arizona, USA: Drums Lars Rosenberg, Sweden: Guitars, bass, mixing, mastering and video production Copyright © October 2018 by, Lars Rosenberg, Sweden All rights reserved. 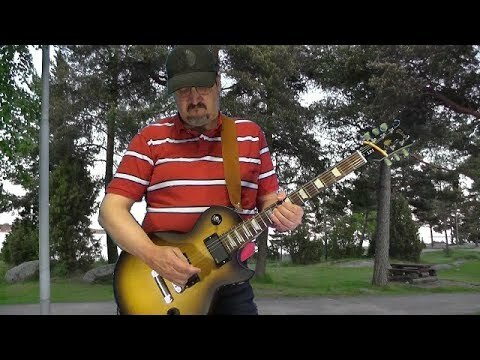 Rosette Nebula by Jeff Janssen and Lars Rosenberg Jeff Janssen, Arizona, USA: Drums Lars Rosenberg, Sweden: Guitars, bass, mixing, mastering and video production Copyright © September 2018 by, Lars Rosenberg, Sweden All rights reserved. Epsilon Virginis by Lars Rosenberg Copyright © November 2018 by, Lars Rosenberg, Sweden All rights reserved. Delta Virginis by Lars Rosenberg Copyright © November 2018 by, Lars Rosenberg, Sweden All rights reserved. 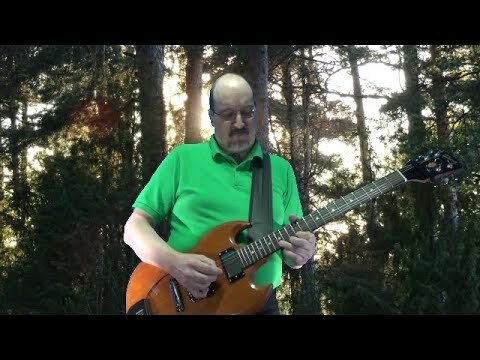 Iapetus by Jeff Janssen and Lars Rosenberg Jeff Janssen, Arizona, USA: Drums Lars Rosenberg, Sweden: Guitars, bass, mixing, mastering and video production Copyright © October 2018 by, Lars Rosenberg, Sweden All rights reserved. Beta Virginis by Lars Rosenberg Copyright © November 2018 by, Lars Rosenberg, Sweden All rights reserved. Alpha Virginis by Lars Rosenberg Copyright © November 2018 by, Lars Rosenberg, Sweden All rights reserved. 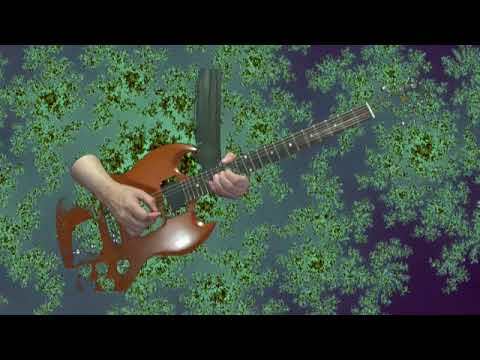 Eagle Nebula by Jeff Janssen and Lars Rosenberg Jeff Janssen, Arizona, USA: Drums Lars Rosenberg, Sweden: Guitars, bass, mixing, mastering and video production Copyright © September 2018 by, Lars Rosenberg, Sweden All rights reserved. 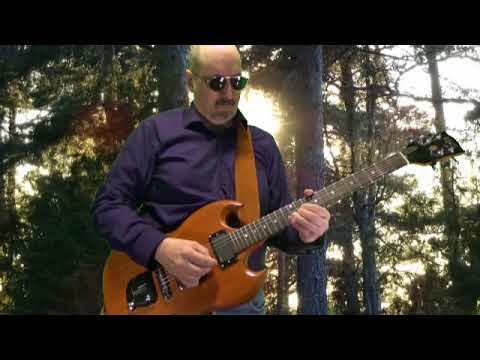 Chasing Shadows by Jeff Janssen and Lars Rosenberg Jeff Janssen, Arizona, USA: Drums Lars Rosenberg, Sweden: Guitars, bass, mixing, mastering and video production Copyright © October 2018 by, Lars Rosenberg, Sweden All rights reserved. Scorpius (Take 3) by Lars Rosenberg Copyright © November 2018 by, Lars Rosenberg, Sweden All rights reserved. The old body on my Ibanez GIO had some holes drilled and some of the wood removed at the bridge. I thought this would look better. Not only does it look better the sound is a bit better to. I tend to like Mahogany more than Basswood. Although this Mahogany is very light weight. Neck: heavily modified, less wide and thinner plus a fret job. Pickups: Bridge Position: Ibanez INF4, Neck Position Seymour Duncan Jazz. Tuners: Sperzel Locking Tuners . Bridge: Schaller 3D-6 CH. 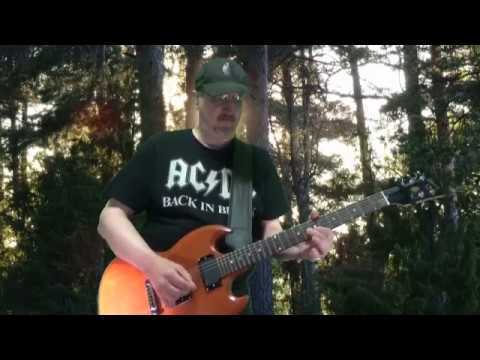 Going From Nowhere To Now Here by Jeff Janssen and Lars Rosenberg Jeff Janssen, Arizona, USA: Drums Lars Rosenberg, Sweden: Guitars, bass, mixing, mastering and video production Copyright © September 2018 by, Lars Rosenberg, Sweden All rights reserved. Scorpius (Take 2) by Lars Rosenberg Copyright © November 2018 by, Lars Rosenberg, Sweden All rights reserved. Scorpius by Lars Rosenberg Copyright © November 2018 by, Lars Rosenberg, Sweden All rights reserved. Pegasus by Lars Rosenberg Copyright © November 2018 by, Lars Rosenberg, Sweden All rights reserved. Veil Nebula by Jeff Janssen and Lars Rosenberg Jeff Janssen, Arizona, USA: Drums Lars Rosenberg, Sweden: Guitars, bass, mixing, mastering and video production Copyright © September 2018 by, Lars Rosenberg, Sweden All rights reserved. Andromeda by Lars Rosenberg Copyright © October 2018 by, Lars Rosenberg, Sweden All rights reserved. Triangulum Galaxy by Lars Rosenberg Copyright © October 2018 by, Lars Rosenberg, Sweden All rights reserved. 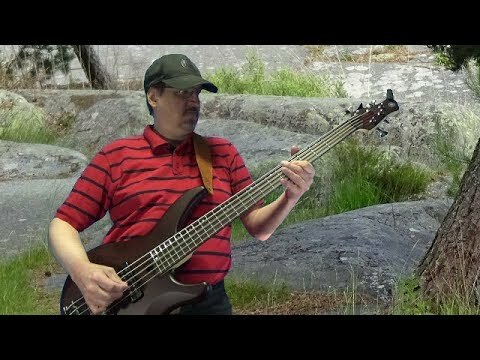 Lagoon Nebula by Jeff Janssen and Lars Rosenberg Jeff Janssen, Arizona, USA: Drums Lars Rosenberg, Sweden: Guitars, bass, mixing, mastering and video production Copyright © September 2018 by, Lars Rosenberg, Sweden All rights reserved. Barnard's Loop by Lars Rosenberg Copyright © October 2018 by, Lars Rosenberg, Sweden All rights reserved. 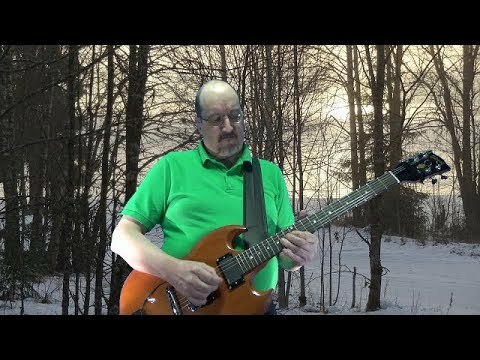 Carina Nebula by Jeff Janssen and Lars Rosenberg Jeff Janssen, Arizona, USA: Drums Lars Rosenberg, Sweden: Guitars, bass, mixing, mastering and video production Copyright © September 2018 by, Lars Rosenberg, Sweden All rights reserved. Tarantula Nebula by Jeff Janssen and Lars Rosenberg Jeff Janssen, Arizona, USA: Drums Lars Rosenberg, Sweden: Guitars, bass, mixing, mastering and video production Copyright © August 2018 by, Lars Rosenberg, Sweden All rights reserved. 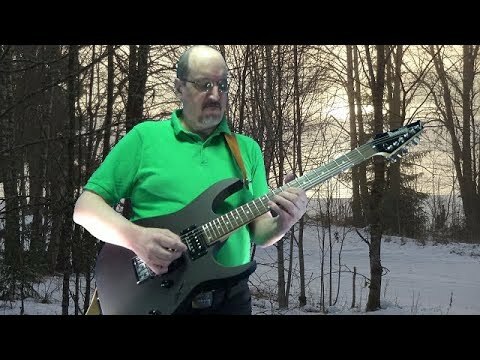 Yamaha TRBX505 Demo Iapetus by Lars Rosenberg Copyright © September 2018 by, Lars Rosenberg, Sweden All rights reserved. When it comes to bass lines this is my favorite tracks to play. 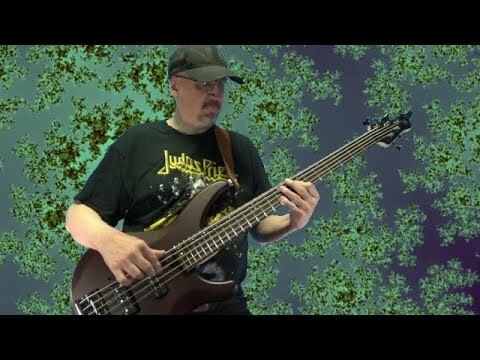 I just had to give this song a trial with my new Yamaha TRBX505 bass. Electra (Live In The Studio, take 1) by Lars Rosenberg Copyright © June 2018 by, Lars Rosenberg, Sweden All rights reserved. 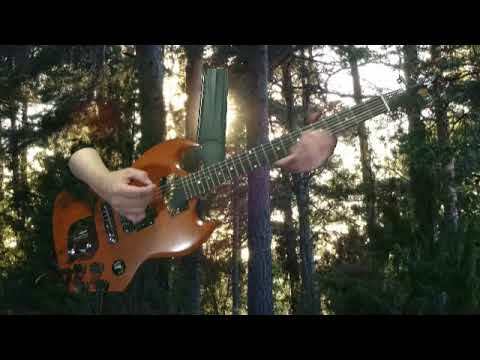 Falling Star by Jeff Janssen and Lars Rosenberg Jeff Janssen, Arizona, USA: Drums Lars Rosenberg, Sweden: Guitars, bass, mixing, mastering and video production Copyright © August 2018 by, Lars Rosenberg, Sweden All rights reserved. 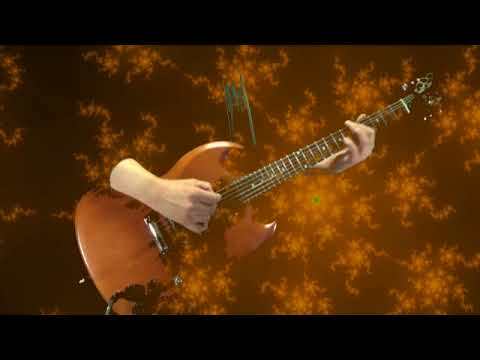 Gum Nebula by Jeff Janssen and Lars Rosenberg Jeff Janssen, Arizona, USA: Drums Lars Rosenberg, Sweden: Guitars, bass, mixing, mastering and video production Copyright © August 2018 by, Lars Rosenberg, Sweden All rights reserved. Rosette Nebula (Live In The Studio) by Lars Rosenberg Copyright © September 2018 by, Lars Rosenberg, Sweden All rights reserved. Chasing Shadows (2018) by Lars Rosenberg Copyright © September 2018 by, Lars Rosenberg, Sweden All rights reserved. 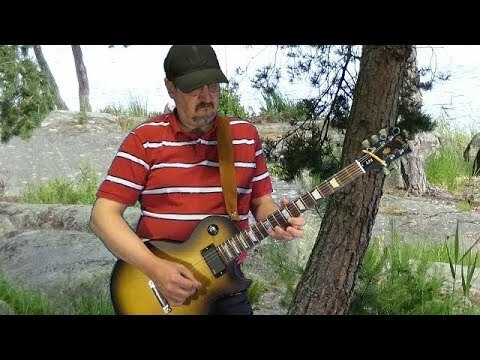 Summer Heat by Jeff Janssen and Lars Rosenberg Jeff Janssen, Arizona, USA: Drums Lars Rosenberg, Sweden: Guitars, bass, mixing, mastering and video production Copyright © August 2018 by, Lars Rosenberg, Sweden All rights reserved. Lagoon Nebula by Lars Rosenberg Copyright © September 2018 by, Lars Rosenberg, Sweden All rights reserved. Veil Nebula by Lars Rosenberg Copyright © September 2018 by, Lars Rosenberg, Sweden All rights reserved. 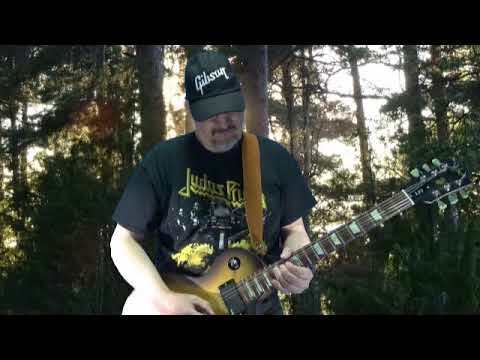 Neutron Star by Jeff Janssen and Lars Rosenberg Jeff Janssen, Arizona, USA: Drums Lars Rosenberg, Sweden: Guitars, bass, mixing, mastering and video production Copyright © July 2018 by, Lars Rosenberg, Sweden All rights reserved. Eagle Nebula by Lars Rosenberg Copyright © September 2018 by, Lars Rosenberg, Sweden All rights reserved. 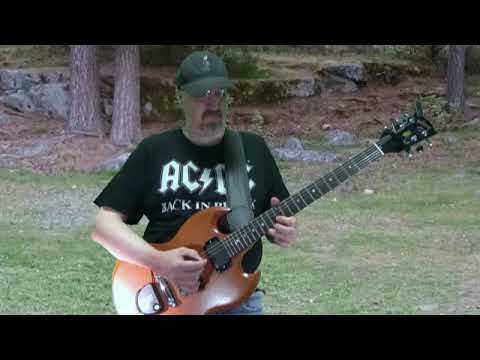 Vela Pulsar by Jeff Janssen and Lars Rosenberg Jeff Janssen, Arizona, USA: Drums Lars Rosenberg, Sweden: Guitars, bass, mixing, mastering and video production Copyright © July 2018 by, Lars Rosenberg, Sweden All rights reserved. Carina Nebula by Lars Rosenberg Copyright © August 2018 by, Lars Rosenberg, Sweden All rights reserved. 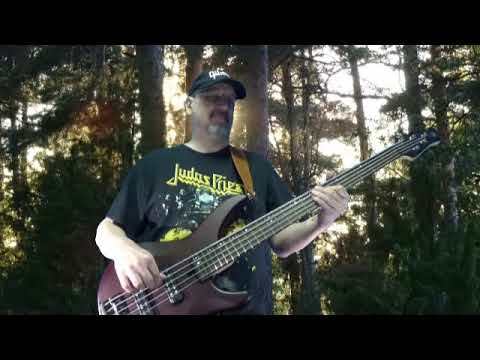 Crab Pulsar by Jeff Janssen and Lars Rosenberg Jeff Janssen, Arizona, USA: Drums Lars Rosenberg, Sweden: Guitars, bass, mixing, mastering and video production Copyright © July 2018 by, Lars Rosenberg, Sweden All rights reserved. Tarantula Nebula by Lars Rosenberg Copyright © August 2018 by, Lars Rosenberg, Sweden All rights reserved. Gum Nebula by Lars Rosenberg Copyright © August 2018 by, Lars Rosenberg, Sweden All rights reserved. Falling Star by Lars Rosenberg Copyright © August 2018 by, Lars Rosenberg, Sweden All rights reserved. Theta Ursae Minoris by Jeff Janssen and Lars Rosenberg Jeff Janssen, Arizona, USA: Drums Lars Rosenberg, Sweden: Guitars, bass, mixing, mastering and video production Copyright © July 2018 by Lars Rosenberg, Sweden All rights reserved. Summer Heat by Lars Rosenberg Copyright © August 2018 by, Lars Rosenberg, Sweden All rights reserved. Horsehead Nebula by Jeff Janssen and Lars Rosenberg Jeff Janssen, Arizona, USA: Drums Lars Rosenberg, Sweden: Guitars, bass, mixing, mastering and video production Copyright © July 2018 by Lars Rosenberg, Sweden All rights reserved. 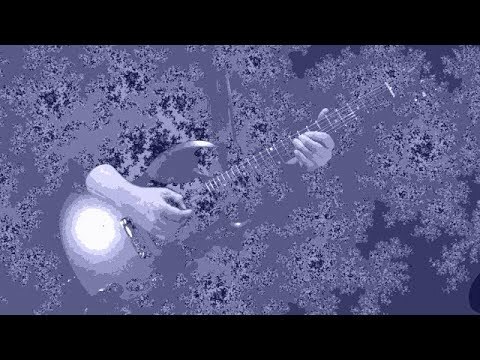 Crab Nebula by Jeff Janssen and Lars Rosenberg Jeff Janssen, Arizona, USA: Drums Lars Rosenberg, Sweden: Guitars, bass, mixing, mastering and video production Copyright © July 2018 by, Lars Rosenberg, Sweden All rights reserved. 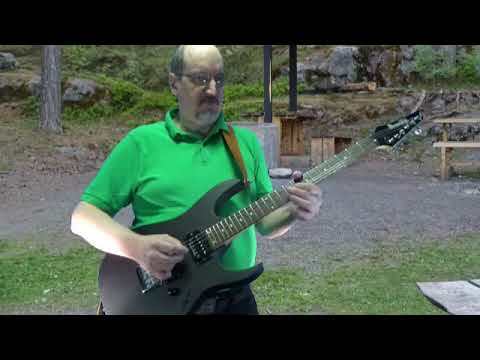 Sigma Librae by Jeff Janssen and Lars Rosenberg Jeff Janssen, Arizona, USA: Drums Lars Rosenberg, Sweden: Guitars, bass, mixing, mastering and video production Copyright © June 2018 by Lars Rosenberg, Sweden All rights reserved. Botein by Jeff Janssen and Lars Rosenberg Jeff Janssen, Arizona, USA: Drums Lars Rosenberg, Sweden: Guitars, bass, mixing, mastering and video production Copyright © June 2018 by Lars Rosenberg, Sweden All rights reserved. 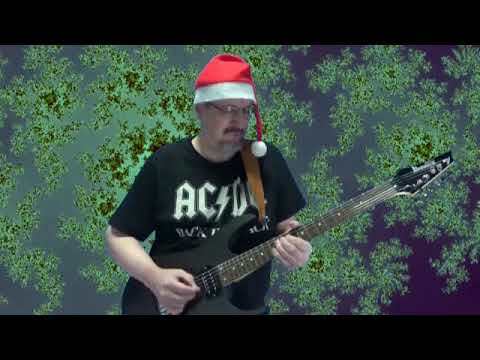 Neutron Star (Live In The Studio) by Lars Rosenberg Copyright © July 2018 by, Lars Rosenberg, Sweden All rights reserved. Neutron Star by Lars Rosenberg Copyright © July 2018 by, Lars Rosenberg, Sweden All rights reserved. Vela Pulsar by Lars Rosenberg Copyright © July 2018 by, Lars Rosenberg, Sweden All rights reserved. Crab Pulsar by Lars Rosenberg Copyright © July 2018 by, Lars Rosenberg, Sweden All rights reserved. Propus by Jeff Janssen and Lars Rosenberg Jeff Janssen, Arizona, USA: Drums Lars Rosenberg, Sweden: Guitars, bass, mixing, mastering and video production Copyright © June 2018 by Lars Rosenberg, Sweden All rights reserved. Theta Ursae Minoris by Lars Rosenberg Copyright © July 2018 by, Lars Rosenberg, Sweden All rights reserved. Horsehead Nebula by Lars Rosenberg Copyright © June 2018 by, Lars Rosenberg, Sweden All rights reserved. 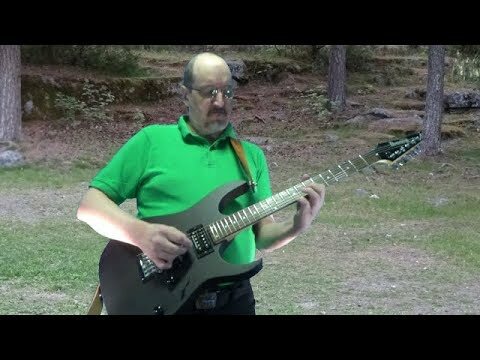 Pulsar by Jeff Janssen and Lars Rosenberg Jeff Janssen, Arizona, USA: Drums Lars Rosenberg, Sweden: Guitars, bass, mixing, mastering and video production Copyright © May 2018 by Lars Rosenberg, Sweden All rights reserved. Hypernova by Jeff Janssen and Lars Rosenberg Jeff Janssen, Arizona, USA: Drums Lars Rosenberg, Sweden: Guitars, bass, mixing, mastering and video production Copyright © May 2018 by Lars Rosenberg, Sweden All rights reserved. 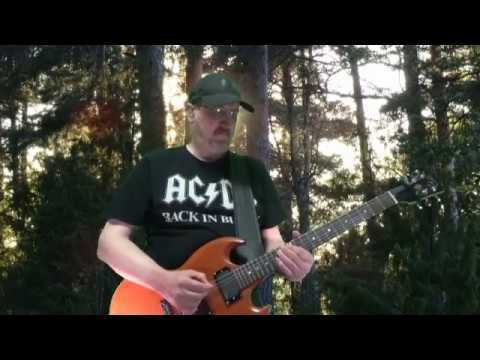 Quasar by Jeff Janssen and Lars Rosenberg Jeff Janssen, Arizona, USA: Drums Lars Rosenberg, Sweden: Guitars, bass, mixing, mastering and video production Copyright © May 2018 by Lars Rosenberg, Sweden All rights reserved. Electra (Live In The Studio, take 2) by Lars Rosenberg Copyright © June 2018 by, Lars Rosenberg, Sweden All rights reserved. Sigma Librae by Lars Rosenberg Copyright © June 2018 by, Lars Rosenberg, Sweden All rights reserved. Botein by Lars Rosenberg Copyright © June 2018 by, Lars Rosenberg, Sweden All rights reserved. 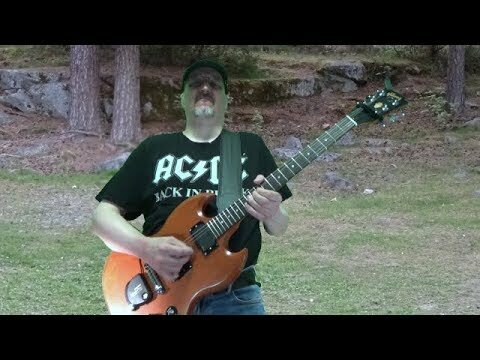 Sagittarius A by Jeff Janssen and Lars Rosenberg Jeff Janssen, Arizona, USA: Drums Lars Rosenberg, Sweden: Guitars, bass, mixing, mastering and video production Copyright © May 2018 by Lars Rosenberg, Sweden All rights reserved. Sceptrum (Jeff Janssen on drums) (Live In The Studio) by Jeff Janssen and Lars Rosenberg Jeff Janssen, Arizona, USA: Drums Lars Rosenberg, Sweden: Guitars, bass, mixing, mastering and video production Copyright © May 2018 by Lars Rosenberg, Sweden All rights reserved. Castor by Jeff Janssen and Lars Rosenberg Jeff Janssen, Arizona, USA: Drums Lars Rosenberg, Sweden: Guitars, bass, mixing, mastering and video production Copyright © April 2018 by Lars Rosenberg, Sweden All rights reserved. On this recording the guitars were recorded using my Marshall DSL 40c Rhythm guitars: Classic Crunch, Boss Super Drive I between the guitar and the amp. 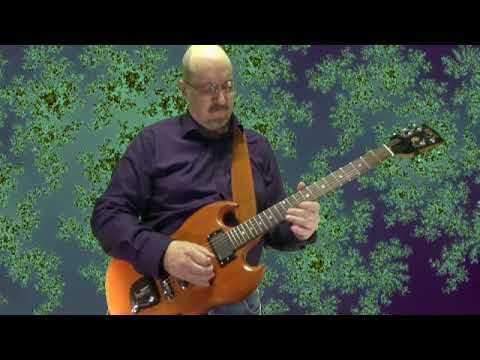 Lead Guitar: Hot, Channel 1 All guitars were lined direct to the sound card vi the Line Output. I added a speaker emulator from Guitar Rig 5, a Marshal 4x12 speaker emulator. Pulsar (Live In The Studio) by Lars Rosenberg Copyright © May 2018 by, Lars Rosenberg, Sweden All rights reserved.